An armored humvee cruises along a dirt road near the White Sands Missile Range in southern New Mexico during the Roving Sands exercise, March 2018. On a vast stretch of desert in southern New Mexico, the Army unearthed a military exercise it had literally left in the dust some 13 years ago. The Army resurrected the Roving Sands exercise earlier this month as part of an effort to remain vigilant against an array of potential worldwide aerial threats. 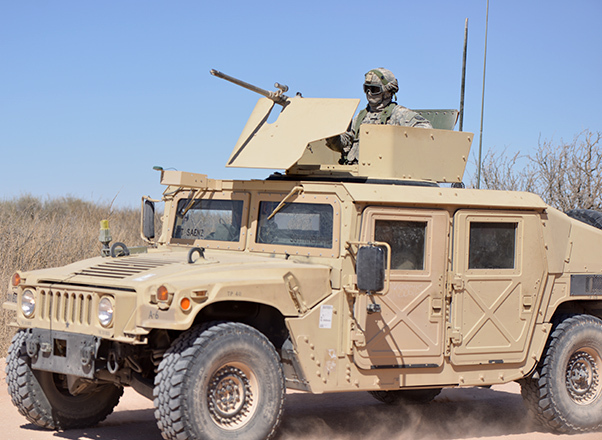 About 2,200 Soldiers from air defense artillery units out of Fort Bliss, Texas; Fort Hood, Texas; and Fort Sill, Okla., amassed in the foothills of New Mexico’s Organ Mountains to take part in the exercise. The Roving Sands exercise provides participating units a combat training center-like evaluation where they can simulate operations in an austere environment and refine their air defense skills in preparation for real-world global response. During the exercise, Soldiers wearing full body armor simulated combat operations as they would in an actual deployed location. One aspect of Roving Sands that might have been new to some participating Soldiers was the austere nature of the operation. Unlike operations they may have been a part of in Iraq or Afghanistan, where deploying Soldiers could fall in on locations where combat operations had been ongoing for years, at Roving Sands, Soldiers fell in on nothing but sand. 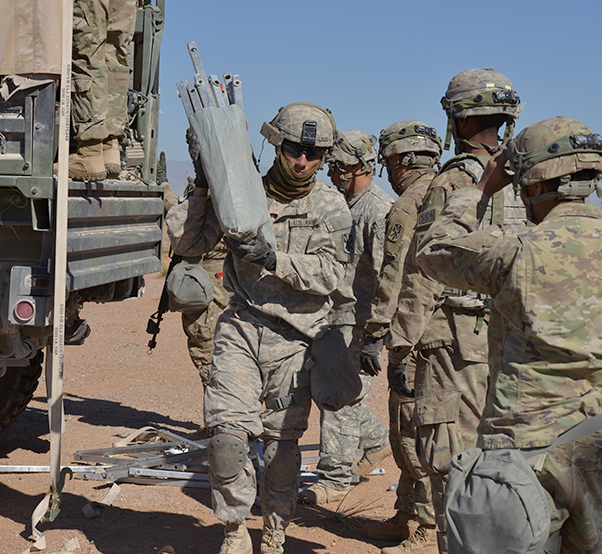 Soldiers from Fort Bliss, Texas begin unloading supplies for site setup during the 2018 Roving Sands air defense exercise in March 2018. The Army revived the exercise for the first time in 13 years. “The difference between a steady state fight and the fight here at Roving Sands, is [that] logistics is not guaranteed,” said Lt. Col. Haileyesus Bairu, an operations officer with the 32nd Air and Missile Defense Command, who was responsible for organizing the exercise. “Your locations are not necessarily going to be secured. That means you have to secure it yourself. You’ve got to create the perimeter yourself. You’re not falling in on a perimeter … we’re not falling in on an environment where there is a robust Air Force presence,” Bairu said. The weight of the responsibility was not lost on participating Soldiers. Pvt. Joshua Langston, less than eight months removed from basic training, said his unit prepared diligently in advance for the exercise, making multiple maintenance and vehicle checks. The Soldiers endured difficult challenges, including 48-hour shifts. 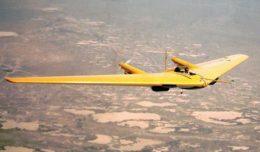 The responsibility of potentially defending critical assets such as an oil refinery or a city from pending aerial threats weighed heavily on Langston’s mind. First Sgt. 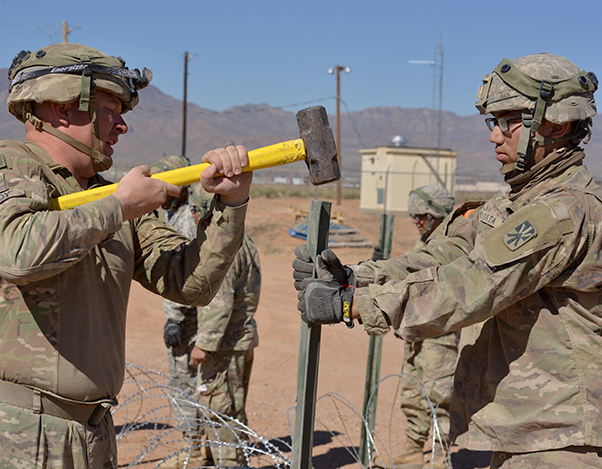 Jacob Allen Hardy uses a hammer to lay the foundation for a perimeter fence. 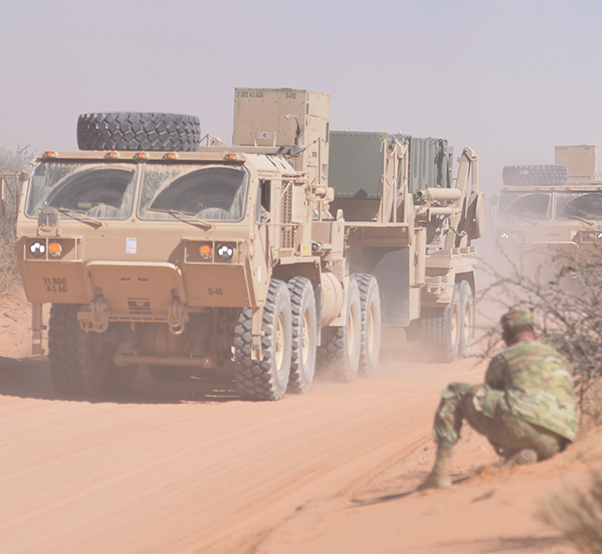 Soldiers who participated in the March 2018 Roving Sands exercise had to move their units and set up new sites multiple times during the exercise. During Roving Sands, units simulated defense against asymmetric threats, including improvised explosive devices, small arms fire and indirect fire. They also scouted for patterns and trends in enemy attacks. Air defense Soldiers used the time to identify weaknesses in their home sites as well. Soldiers withstood 45-mph winds during one day of the exercise. Those winds impacted site setups and missile launches. They also had to face harassing attacks designed to distract air defenses or disrupt defense plans. The wide variety of challenges that made up Roving Sands are meant to prepare participating Soldiers for anything. The Army resurrected its annual Roving Sands exercise, a joint force operation to simulate air defense in March 2018. 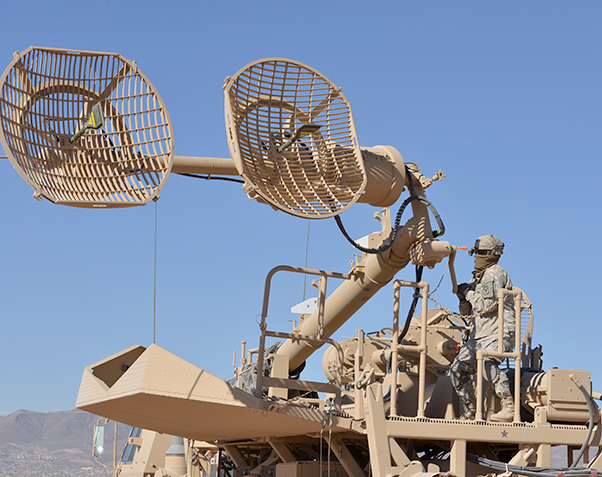 The Air Force and Marines provided aerial support to simulate enemy attacks. The first Roving Sands exercise was held in 1989, and the exercise was held annually after that until 2005. At one point, it was the largest operation of its kind in the world, with Great Britain, Canada, Japan, Germany and the Netherlands participating over the years. This year, the 32nd AAMDC hosted the return of Roving Sands at White Sands Missile Range, after a 15-year hiatus. Some Soldiers who participated in Roving Sands this year think it’s a great idea the exercise has returned. At its core, the Roving Sands exercise serves as an ultimate test for how leaders will lead their troops in a rapid response attack, ultimately helping deter enemy aggression toward critical assets. Each leader is tested from the company commander to junior non-commissioned officer. The exercise also builds camaraderie needed to operate smoothly in a deployed environment. 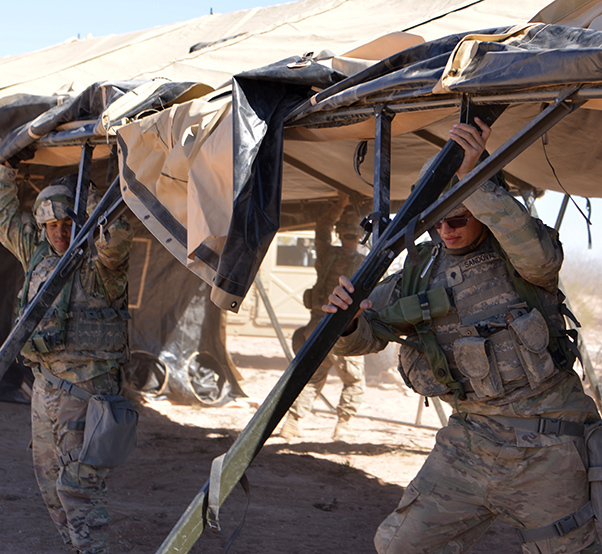 Soldiers set up a tent during the March 2018 Roving Sands exercise near White Sands, N.M.
Vehicles barrel along a desert road during the March 2018 Roving Sands exercise, held near White Sands, New Mexico and Fort Bliss, Texas.